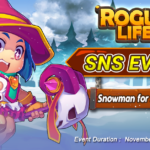 Home » Mobile Game » Android » Rogue Life: Squad Goals is wrapping up NEW hype! Rogue Life: Squad Goals is wrapping up NEW hype! Rogue Life is cooking something that all its gamer will surely love. Not only that, the Facebook Community is soaring high with 20K LIKES! This could not be possible without the love and support that was brought by our gamer, so we’re thanking all of them! With these two milestones, exciting rewards are up for grabs! 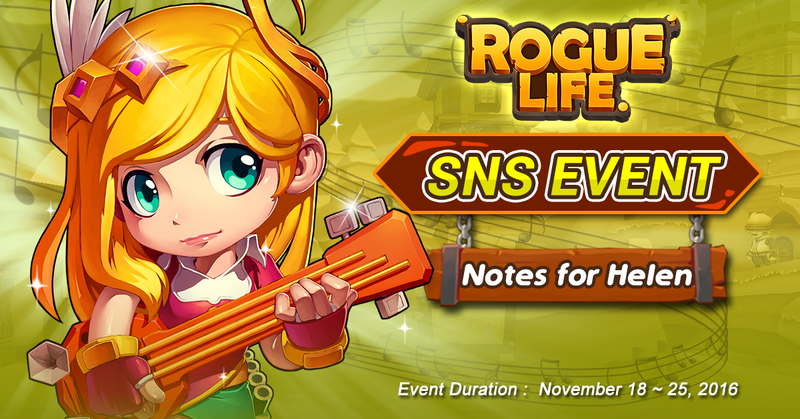 Come and join in our SNS Events that will run until Nov. 25th! 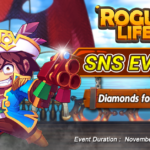 Gems and coupon codes will be given away! Keep those hopes high as we’ll be making it come true! This is a 2 day event basis. If each is accomplished, the rewards will be unlocked. Expect the reward every two days. We won’t run out of amazing community events for our gamer. This is an exchange of their never-ending support through reviews, feedback and game downloads. No more room for hesitation, join NOW!!! For more information, feel free to visit our Official Facebook Fan page. Real-life Simulation – tons of chores and activities to do! Rogue Life is taking by storm Google Play as its now topped in New Release, free-game apps. This ultimate shooting RPG is developed by Hidea, a South Korean gaming company. It features crossover RPG with a twist – real-life simulation. This comes with in-game purchases. Expect more as its expansion to other Southeast Asian countries is so soon. For more details, visit our Official Facebook Fan Page. 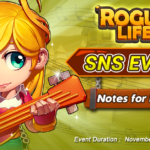 Previous Fantasy Squad Hits 10K LIKES – New SNS Event Unfold! Fantasy Squad is receiving great feedbacks from its Singapore and Philippine players. 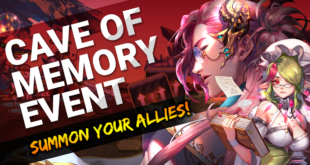 With this achievement, we are opening another event entitled “Cave of Memory Event”. Gather all your friends and make them play the game for awesome prizes they can win! This event opens until 20th January.